Are You Ready to Open an eCommerce Store? So, your customers love your products and service, and your brick-and-mortar store is thriving. You might be starting to think about new of ways to grow your business. Starting an eCommerce store is a great way to reach customers online and expand your business outwards. Selz reports that 80% of the online population has purchased something using the internet, while 50% have made purchases multiple times. That’s a very big potential market to tap into! There’s a lot of planning that goes into setting up an eCommerce store. It’s important to consider the whole of the buying process, from how you’re going to package and calculate shipping for your goods, to what kind of eCommerce solution you want to use. Setting up an eCommerce store might seem daunting at first glance. But luckily there are also lots of tools available that make the process straightforward and simple. With your eCommerce store, you are welcoming your customers into a digital representation of your business, so you want to be sure it works well and looks professional. When creating your eCommerce store, it’s important you use the right tools. 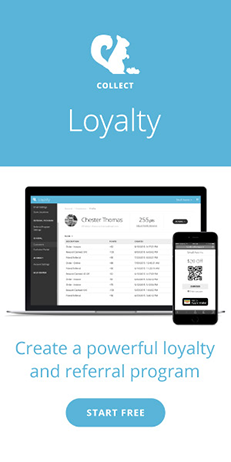 User friendly tech makes it far easier to get things organized and regularly updated. Shopify is a popular and affordable choice for retailers. With visually appealing layouts and easy customization. 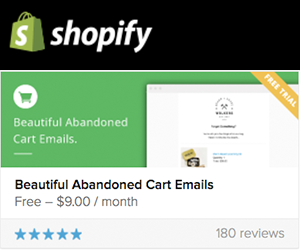 Shopify also allow you to sync orders and offer a secure shopping cart and blogging options. BigCommerce enables you to sell via Facebook, eBay, Etsy, Google Shopping too. They allow you to easily share products across social platforms and offer multiple layout options. WooCommerce offer many free features which are easily adaptable, so you can customize designs to reflect your business. They also have lots of excellent pre-designed options to choose from. Magento host more than 240,000 merchants worldwide. Owned by Ebay, they offer hundreds of extensions and allow you to personalize your customers' shopping experience and target them based on demographic or buying history. Vend eCommerce offer live syncing between your in-store and online shops, so you can keep your inventory up-to-date and automate the online shopping process. They also offer different layout and navigation options. You should think of your eCommerce site as a very public shop window. You want it to be as enticing as possible. Once you have the tech side of your eCommerce store set up, you’ll need to start choosing how to best present your goods. Most of the tools suggested have pre-designed layouts, so once you choose something you like, all you will need to do is supply the product photographs. It’s important you photograph every item with the same lighting conditions and same tone to create a streamline, professional effect. Urban Outfitters do a great job of taking product photos both with a stark background, and contrasting them with images that show a more homely environment. This is effective because it enables their customers to imaging their products as part of their home. While Melbourne based boutique The Supercool are effective because all their stock photos are in a similar colour palette and are clearly displayed. Average amount - Having a set cost is a good way to make your customers feel comfortable about the amount they’re spending. Meaning they don’t get a shock when they head to checkout. But this also means you’ll have to do some calculating first, to make sure you settle on an amount that works for your business. Charge actual costs - This can be complex to calculate, requiring early planning out and a bit of effort, but it does mean that your customers know they’re spending exactly what it costs, and can encourage them to make multiple purchases, without limiting their decisions to keep price down. Free - This is a good way to get your customers excited about shopping with you online, but it can also cut into your profits. If you’re considering free shopping, it’s important to think about whether this will mean an increase in your product price, and whether you want to offer this option for your overseas customers. It’s best to have some conditions around you're free shipping, such as a minimum purchase amount, or to exclude some items which aren’t practical to ship. It's also a good idea to offer free shipping to orders over a certain price, e.g. $50. This also encourages customers to spend more to reach the free shipping amount. Listen to customer feedback (good and bad), especially when your site is new. It’s important to respond to what your customers want and think about your eCommerce store. Make it mobile friendly - It’s important to ensure your eCommerce site is mobile optimized. Kissmetrics reported that one third of all eCommerce purchases were made on a smartphone during the holiday shopping season, so you want to be sure your customers can shop on their phones. Share your eCommerce store on your social media pages - It’s important to keep momentum and gain traffic to your site. Offering discounts for social sharing is a great way to inspire your customers to share your content and talk about your brand. Making sure customers can share your products on Pinterest, Twitter, Facebook, and Instagram is increasingly important to engage your digital audience. Be prepared - Do your research before setting up your eCommerce store. Spend that extra time talking your staff through your site, getting them comfortable with it, and used to filling orders etc. before you open it up to your customers. That way you can guarantee they’ll deliver seamless service.